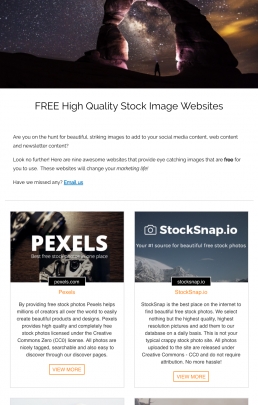 Create email newsletters, web content and web pages in minutes! elink’s Chrome Extension is a shortcut to help you curate and save web links to your elink collections. Each link is saved in a visual format. You can customize the image, title or description of the link to add your own voice. After which you can save each link to an elink collection. Once you’re done collecting your links, go to elink.io to publish your collection of links as a web page, email newsletter or add it to a website/blog for quick content. 1. Right click any image. 2. Right click any link. 3. Click on the extension. 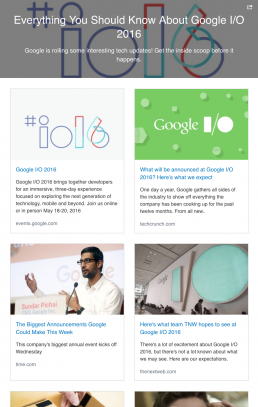 Send your collection of links as a responsive newsletter. Send it via MailChimp, Gmail, or any 3rd party email platform that allows HTML (i.e. Campaign Monitor, Active Campaign, etc.). 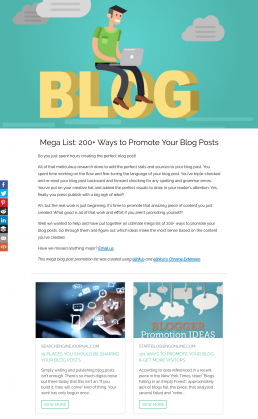 Embed a collection of links onto your website/blog. 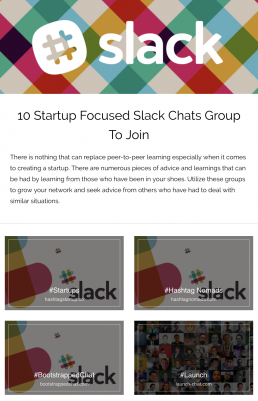 Share a collection of news articles, web resources, videos, affiliate products, etc. with your readers. Update it in real-time with elink's Chrome Extension. elink turns every collection of links into a beautiful single web page. Add your own branding to the page and share it via social media, email, etc. Choose to make your elink SEO friendly and climb the Google ranks. Nearly anything with a link! Our responsive design templates make your web page, newsletter and website embed look good on all devices. Switch between templates at any time, even after an elink is published. Add an unlimited number of RSS feeds and quickly add links to any elink for quicker publishing. Save valuable time searching and adding the perfect content. You can track engagement levels, referral sources and the location of your audience for each elink you create. Make smarter decisions by understanding user engagement levels. elink allows you to update and edit your published content in real-time. Whether you are adding more content or making amendments, your web page and blog embed will update in real-time. elink has been designed in a way that allows you to access elink’s curation tool from any device (computers, tablet, phones). It’s fully responsive, making it easy for you to publish, edit and curate content on the go. Start creating your elinks today!